Recently, here at the Totality, I’ve written about my transformation into living an entirely plant-based lifestyle and what that means in terms of the clothes I will wear from now on. In case you missed it, my recent conversion to veganism means I aim to eschew animal products not just on my plate but, also, off my back. As such, I’ve recently been taking the time to phase out (via charity shop donation) items from my collections which don’t match the new ethic standards I am aspiring to – as such, I’ve begun looking on-line, once more, for new clothing to match my new lifestyle and to fill the newly created holes in my wardrobe. As a person who, as I hope my blog will attest, enjoys dressing as finely as possible, I was worried that my recently acquired attitude may render it impossible to sport the clothes with the aesthetic qualities I aspired to whilst maintaining an animal product-free life. It does of course, hinder me in some ways – gone are the days of leather shoes and wool suits. Thankfully, though, when internet sleuthing, I came across the Italian brand Canali (they, of course, do stock incredibly fine-looking leather shoes and wool suits for the majority of my readers who will still be able to purchase such things. Their mélange capri suits, in particular, are rather spectacular in appearance). The high-end brand, established in 1934, focuses on fine Italian craftsmanship – this is apparent in every single one of the items available on their website. As showcased with clear photography, and even a crisp, beautifully edited video about the heritage nature of Canali, this is a clothing company for the distinguished gentleman who enjoys the classic stylings of a bygone era. The items for sale combine a timeless debonair flavour with the artistry of which only the best Italian tailors can conjure. So, to return to my dilemma, what would a plant-based brethren like myself be able to find to wear at such a traditional store featuring such traditional materials as wool and leather? The answer, thankfully, is quite a fair amount! As any sophisticated man will tell you, nothing cries dapper more than the classic combination of a subtle shirt/cuff-link combination. 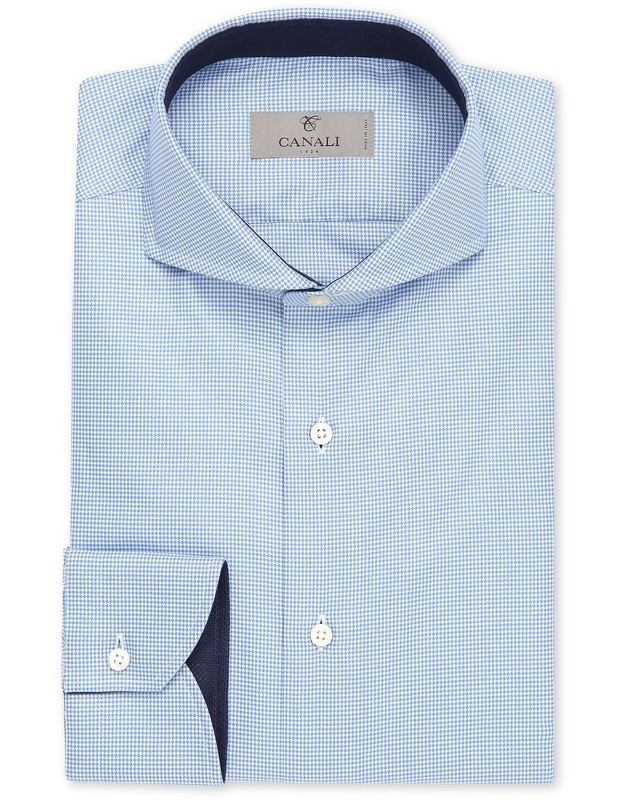 Canali, as to be expected, feature a range of both these items – it’s impossible to over-state, frankly, how handsome their cuff-links are in particular. The stainless steel adornments, available in a multitude of diamond dot-patterned colour schemes, are perfect accessories for popping one’s sartorial ensemble and the type of item which equates as a must-have for any formal get together a socialite may consider. Similarly, the cotton shirts available on-site – especially the light blue houndstooth dress shirt – represent a fantastic investment opportunity for any young gent looking to add verve and pizzazz to their clothing medley. These are vital, high quality items which are certain to make any man who sports them look a million bucks. Perusing through these items and I’ve already begun to daydream about the various combinations of shirts and cuff-links I’d pair together if, by some piece of great fortune, I ever found myself in the position to own each of these. 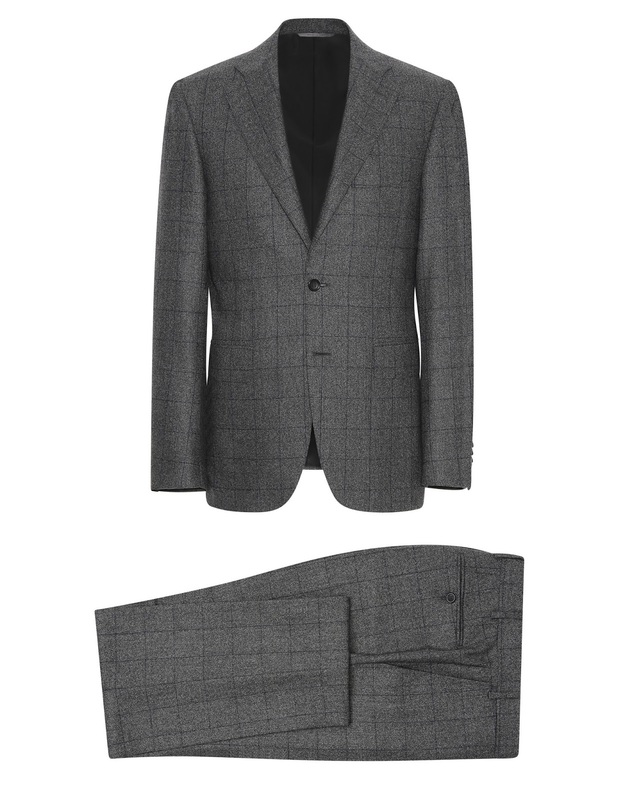 Ultimately, after my elongated daydream in which I spent far too long looking through each and every page on Canali’s website (it’s easy to become enchanted by such fine tailoring and designs), I managed to find hundreds and hundreds of pounds worth of clothing I would love to purchase even with my own self-imposed restrictions added to the equation. Whether you’re eschewing wool and leather, like me, or have no blinkers on your purchasing capacity, I’d suggest heading over to Canali right now to witness scores of the most splendid clothing items imaginable.